In most bullying situations, the target finds himself isolated and alone. Work colleagues, who may have been friendly and supportive previously, melt away. The people he thought were “friends” turn out to be mere fair-weather friends and he is left feeling like a pariah and an outcast. Someone who is being subject to narcissistic abuse may rarely leave the house, never go out with friends, or speak to strangers because he doesn’t know who’s been turned against him; he doesn’t know who he can trust. The experience is painful and can lead to mental and physical problems, including depression and anxiety. In some cases, feelings of despair lead to suicide. This entry was posted in behavior and tagged abuse, bully, bullying, bystander, evil, group dynamics, Martin Luther King, narcissistic, outcast, rage, target, victim by Human. Bookmark the permalink. You simply must consider the entire picture, the principle. What if the group decides one day–you are the one to be harassed, then who would come to your aid? How did the Nazis get so much power? 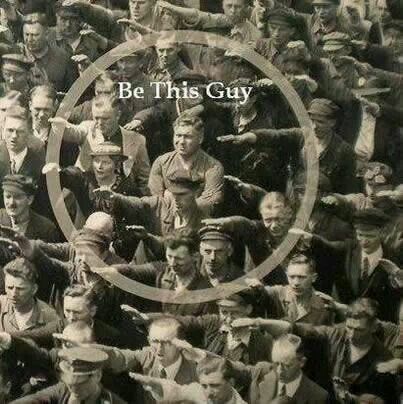 People refused to stand up for the odd ones, the ones who were different, who were feared., even envied for their accomplishments. So, this must be a lesson to never be forgotten. I am not Jewish, I would be proud to be if I were. Always think of the underlying principle of the issue.! Absolutely. We see it on a small scale and on a grand scale; manifestations of the same unacceptable principle. The majority of the German population were ordinary hard-working people, not psychopaths, but they joined the Nazi party and supported the murderous leaders who were. Minions become minions without realizing it. When an individual becomes fully aware of being lead into immoral territory, he can no longer follow.